Are kitchen canisters still cool? Whether they are or not, I have a hand-me-down set we received seven years ago, when we got married. 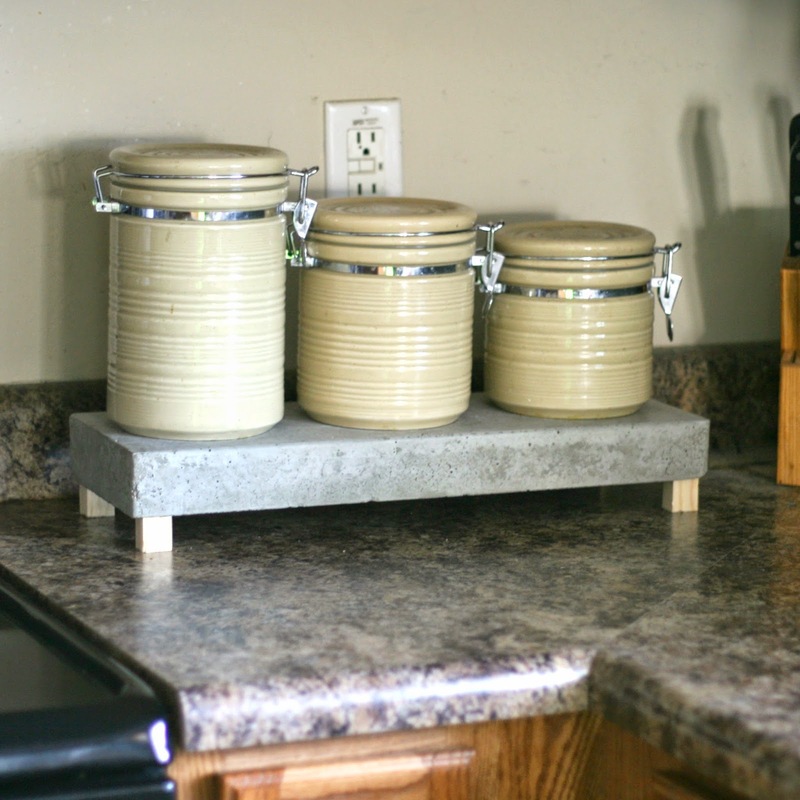 I decided my kitchen might look a little cooler if I introduced some concrete to the mix. 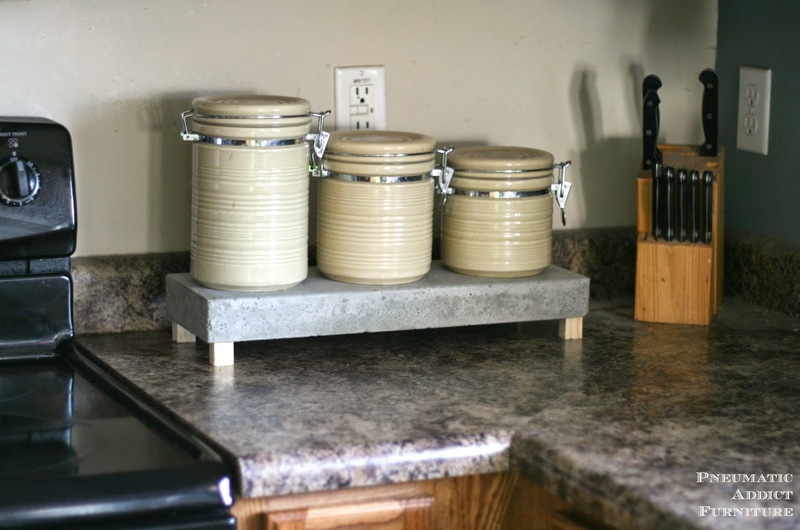 I love the idea of concrete in a kitchen. Not only does it give you a modern/ industrial vibe, it also is very heat tolerate and can withstand hot pans and cookie sheets. You originally saw these platforms when I shared my Modern Christmas Tablescape with you guys. The whole process was very easy. I created forms from melamine, just like I did with my concrete countertop. This time was even easier since I didn't have any sink openings to worry about. I made a couple of different sized slabs, but I ultimately went with the smaller, 14" x 9" x 2". 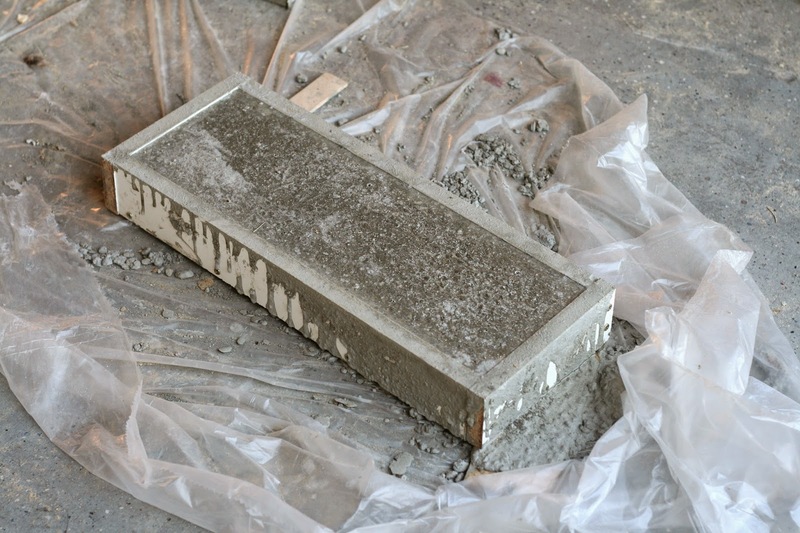 I sealed the seams of the forms with silicone caulk, mixed and poured the cement, and let it cure. 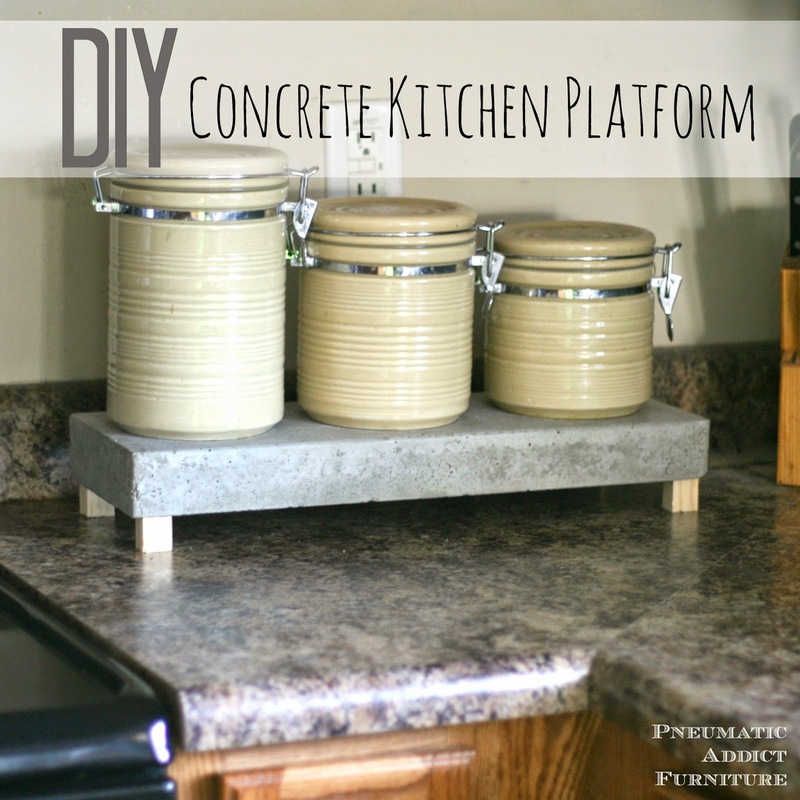 Unlike a countertop, a little kitchen platform doesn't need to be extremely hard, so no need to wait a week. After 24 hours I removed the forms and allowed the slabs to continue to dry for another couple of days. 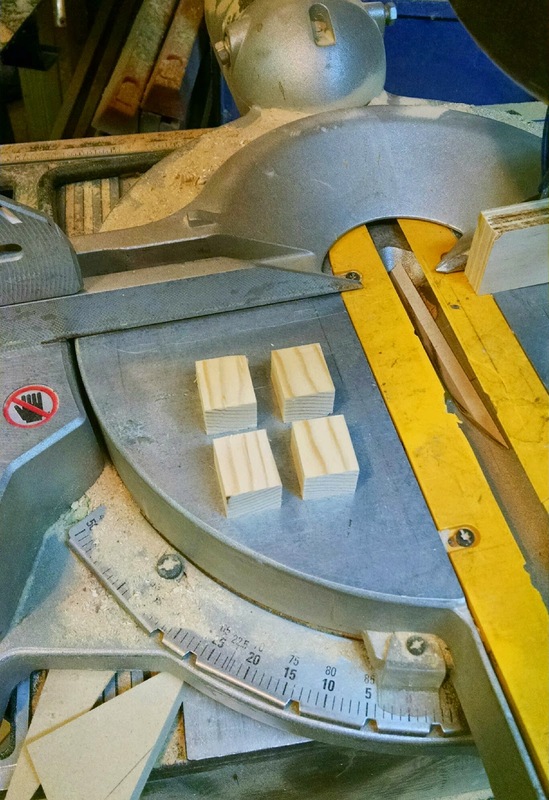 For the legs, I found a scrap piece of pine,approximately 1" by 3/4" and cut four, 1.5" rectangles. The plan was to attach the legs with adhesive, but I wanted to make sure they weren't going anywhere. To increase the surface area and allow more adhesive between the leg and the concrete, I drilled a couple small holes in one end of each leg. I then squirted on some *Gorilla Epoxy and lined up a leg in each corner. The next day I placed my canisters and boom. I bit more kitchen coolness. I'm digging the bare concrete and raw wood look! 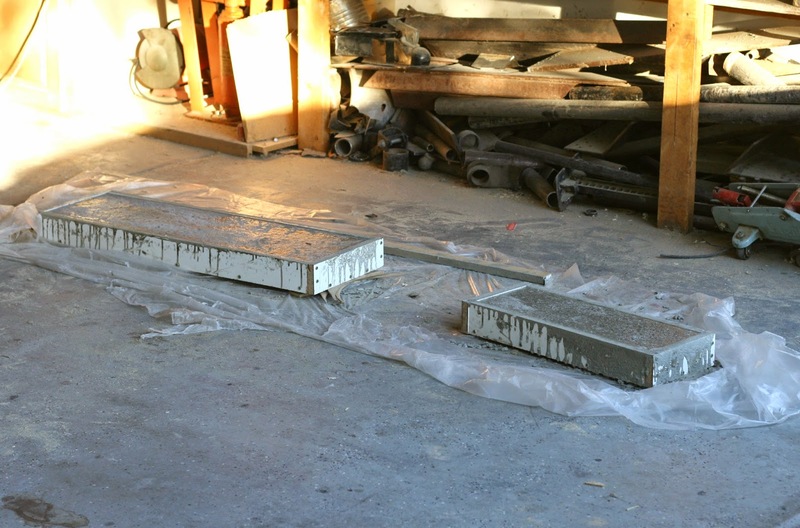 If you were worried about stains, I would recommend sealing both the concrete and wood legs. I'm not sure if they are "cool" or not, but I definitely think my kitchen canisters looks better sitting on a pretty new platform. Have I mentioned how cheap concrete is? Since I already had the melamine, caulk and wood, this whole project cost me around $3. If you don't have scraps laying around, I would suggest picking up a piece of laminated shelving (a.k.a. 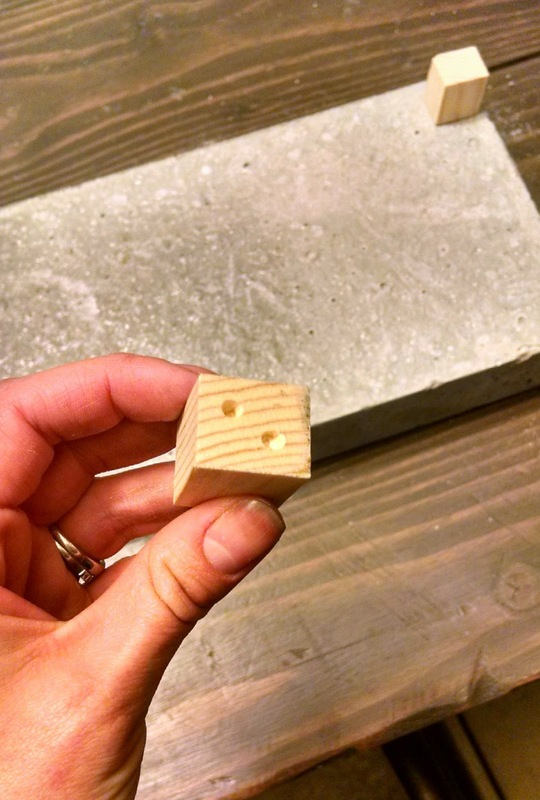 melamine) and a 1" wood dowel from the hardware store. Regardless, it will be an inexpensive little project. What would you use yours for? Hot dishes? Centerpiece? I love this! DEFINITELY cool. 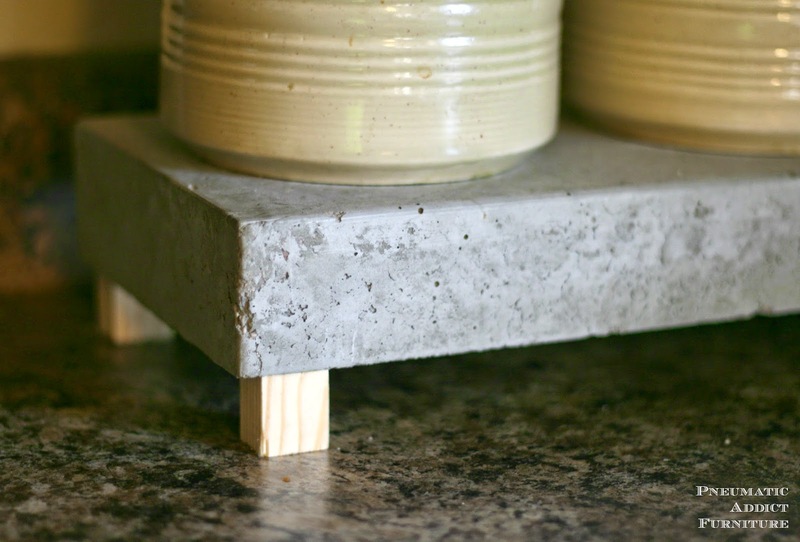 I am stockpiling inspiration for concrete projects in the spring, and this is heading to the top of the list.